I am discovering how the solar return events often show up a few weeks before the date occurs. My SR this year has Uranus in the 9th in 3 degrees Aries which is where my oldest daughters moon is. And my SR rising is Leo 4 degrees where my natal Uranus is. So it appears Uranus speaks to me this year. My daughters moon is Aries 2 degrees 19 minutes in her 5th whole house or 4th house placidius. (I have an Aries moon too). 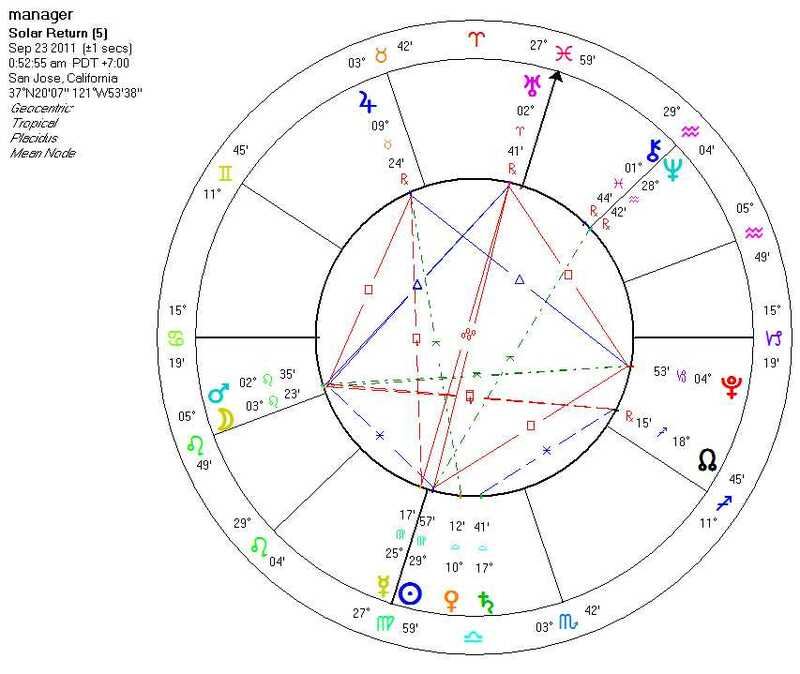 So I am keeping an eye out on Oct 2nd when transiting Uranus will exactly conjunct her moon and the transiting moon will be conjunct her rising. Thankfully my SR also has every malefic planet in a cadent house this year too. So I am antipating exciting things! For some of us the solar return events may begin expressing up to three months before our birthday according to some experts. I have noticed that some energies may begin even earlier, depending on tthe major change or transformation indicated by the chart.